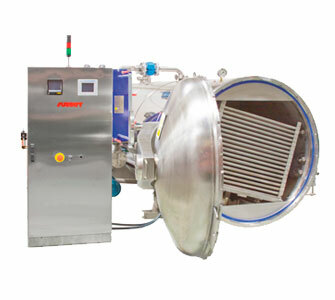 In oscillating or full rotation models, there is a perfect Surdry solution to enhance the quality of every product or to make possible food formulations that cannot stand a heat treatment without some sort of agitation. The oscillating retorts are best suited to horizontal containers like pouches or trays where gravity force is used in combination of the inclination angle and stop time. 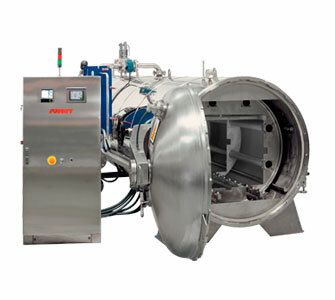 Full rotation is required to agitate viscous or dairy based food formulations in vertical cans, jars or bottles to obtain homogeneous heat treatment from top to bottom.